Suntec, Danfoss world’s largest supplier of fuel oil pumps for the heating industry, Icon Trading by supplying a wide array of high quality Fuel pumps from capacity 40 ltrs. to 4000 ltrs. that can be supplied to various industries. Icon trading kolkata offers Suntec & Danfoss make Fuel oil pumps for burners and boilers. We are distributors for India for Suntec fuel oil pumps, Suntec oil burner pumps, Suntec diesel pumps, Suntec keroscene pumps, Suntec pumps for ecoflam burners, Suntec fuel oil pumps for Bentone burners, Suntec oil pumps for FBR Burners, Suntec oil pumps for Unigas burners, Suntec oil pumps for Riello burners, Suntec oil pumps for Weishaupt burners, Suntec oil burner pumps for FBR burners, Suntec oil burner pumps for olympia burners, Suntec oil pump for Baltur burners, Suntec oil pumps for oilon burners, Suntec oil pumps for Sookook burners, Suntec oil pumps Lamborghini burners. We are also distributors in India for Danfoss fuel oil pumps, Danfoss burner pumps, Danfoss gear oil pumps, Danfoss burner pumps for Bentone, Danfoss oil pumps for Flamco burners, Danfoss pumps for Oxilon burners, Suntec pumps for Oxilon burners, Safag gear oil pumps for Thermax boiler, Entees gear oil pumps for Thermax boiler, Suntec oil pumps for Thermax Boiler, Prakash gear oil pumps, Parkash oil pumps for boilers, J.n.marshall boiler gear oil pumps, Double ace boiler gear oil pumps, Fuelpac boiler gear oil pumps, Popular oil pumps for boilers, Elite boiler oil pumps, Vijayjyot boiler oil Pumps, 3M boiler oil pumps, Saz boiler oil pumps, Sai tech boiler oil pumps, Energypac boiler oil pumps, Urja boiler oil pumps, Shree laxmi boiler oil pumps, Isotex boiler oil pumps, Thermotech boiler oil pumps, Forbes boiler oil pumps etc. With our supply and trade of best quality Danfoss Oil Pump, we have become prominent name in this field. These pumps widely used in oil burners for supplying oil with high flow rate, owing to their excellent operational efficiency and resilient design. The procurement of these pumps is done from renowned vendors, who fabricates them in different stipulations as per diverse needs of customers. Furthermore, we aim at supplying these pumps in durable packaging within stipulated delivery time. Danfoss oil pump RSA60Danfoss oil pump BFP21L5Danfoss oil pump BFP20L5Danfoss oil pump BFP20L3Danfoss oil pump BFP20R5Danfoss oil pump BFP20R3Danfoss oil burner pump BFP41R3Danfoss oil burner pump BFP21L3Danfoss oil burner pump BFP41L3Danfoss oil burner pumpS KSN Series. 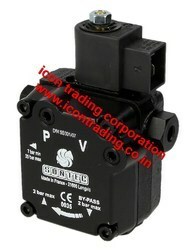 Icon Trading Corporation, Kolkata Import and supply all types of Danfoss burner pumps. We supply following models of burner pumps. Danfoss oil pump RSA60Danfoss oil pump BFP21L5Danfoss oil pump BFP20L5Danfoss oil pump BFP20L3Danfoss oil pump BFP20R5 Danfoss oil pump BFP20R3Danfoss oil burner pump BFP41R3Danfoss oil burner pump BFP21L3Danfoss oil burner pump BFP41L3Danfoss oil burner pumpS KSN Series. "We are leading Manufacturer,Supplier and Exporter of Industrial Equipments & Furnaces like For Steam/Thermopack Boiler, Solid fire/Oil Fire/Gas Fire. Oil Pump, Boiler Spare & Parts, Industrial Laundry Equipment, Chimney,Tumbler, Flatwork Ironer, Oil & Gas Burner,Suntec Oil Burner Pump, Water Softener, Ion exchange Resin,Pipe Line Fabrication & Erection. across the Eastern India mainly Kolkata,West Bengal,Nepal, Bihar, Jharkhand, Orissa, Assam, Siliguri, Durgapur, Asansol, Ranchi, Dhanbad & Bhutan region." 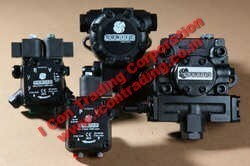 Icon Trading Corporation, Kolkata import & supplies all types of Suntec oil burner pump, Suntec Diesel pump, Suntec Fuel pump ,Suntec furnace oil pump, Suntec heavy oil pump, Suntec light oil pump, Suntec boiler burner pump, Suntec fuel Pump for Thermax boiler, Suntec fuel Pump for Ross boiler etc..
"We are leading Manufacturer,Supplier and Exporter of Industrial Equipment & Furnaces like For Steam/Thermopack Boiler, Solid fire/Oil Fire/Gas Fire. Oil Pump, Boiler Spare & Parts, Industrial Laundry Equipment, Chimney,Tumbler, Flatwork Ironer, Oil & Gas Burner,Suntec Oil Burner Pump, Water Softener, Ion exchange Resin,Pipe Line Fabrication & Erection. across the Eastern India mainly Kolkata,West Bengal,Nepal, Bihar, Jharkhand, Orissa, Assam, Siliguri, Durgapur, Asansol, Ranchi, Dhanbad & Bhutan region." SUNTEC AS47 fuel oil pumps for Bentone Burners. SUNTEC AS47 fuel oil pumps for Burners. SUNTEC AS47 oil burner pumps for Olympia Burners. SUNTEC AS47 oil pumps for Riello Burners. SUNTEC AS47 oil burner pumps for Burners. SUNTEC AS47 oil pumps for Unigas Burners. SUNTEC AS47 diesel pumpsfor Burners. SUNTEC AS47 oil pumps for Weishaupt Burners. SUNTEC AS47 oil pumps for Sookook Burners. SUNTEC AS47 oil pump for Baltur Burners. SUNTEC AS47 keroscene pumps for Burners. SUNTEC AS47 pumps for ecoflam Burners. SUNTEC AS47 oil pumps for FBR Burners. SUNTEC AS47 oil burner pumps for FBR Burners. SUNTEC AS47 oil pumps for oilon Burners. SUNTEC AS47 oil pumps Lamborghini Burners. Icon trading corporation,Kolkata INDIA a leading supplier of Fuel oil pumps for burners and boilers across the east India, We supply all types of SUNTEC E7 1069 Oil Burner Pumps. SUNTEC E7 1069 fuel oil pumps for Bentone Burners. SUNTEC E7 1069 fuel oil pumps for Burners. SUNTEC E7 1069 oil burner pumps for Olympia Burners. SUNTEC E7 1069 oil pumps for Riello Burners. SUNTEC E7 1069 oil burner pumps for Burners. SUNTEC E7 1069 oil pumps for Unigas Burners. SUNTEC E7 1069 diesel pumpsfor Burners. SUNTEC E7 1069 oil pumps for Weishaupt Burners. SUNTEC E7 1069 oil pumps for Sookook Burners. SUNTEC E7 1069 oil pump for Baltur Burners. SUNTEC E7 1069 keroscene pumps for Burners. SUNTEC E7 1069 pumps for ecoflam Burners. SUNTEC E7 1069 oil pumps for FBR Burners. SUNTEC E7 1069 oil burner pumps for FBR Burners. 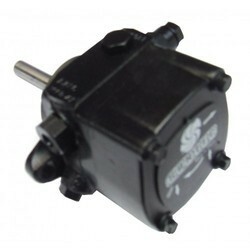 SUNTEC E7 1069 oil pumps for oilon Burners. SUNTEC E7 1069 oil pumps Lamborghini Burners. SUNTEC E6 1001 fuel oil pumps for Bentone Burners. SUNTEC E6 1001 fuel oil pumps for Burners. SUNTEC E6 1001 oil burner pumps for Olympia Burners. SUNTEC E6 1001 oil pumps for Riello Burners. SUNTEC E6 1001 oil burner pumps for Burners. SUNTEC E6 1001 oil pumps for Unigas Burners. SUNTEC E6 1001 diesel pumpsfor Burners. SUNTEC E6 1001 oil pumps for Weishaupt Burners. SUNTEC E6 1001 oil pumps for Sookook Burners. 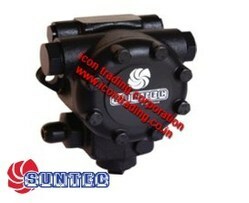 SUNTEC E6 1001 oil pump for Baltur Burners. SUNTEC E6 1001 keroscene pumps for Burners. SUNTEC E6 1001 pumps for ecoflam Burners. SUNTEC E6 1001 oil pumps for FBR Burners. SUNTEC E6 1001 oil burner pumps for FBR Burners. SUNTEC E6 1001 oil pumps for oilon Burners. SUNTEC E6 1001 oil pumps Lamborghini Burners. We are widely regarded as forerunner in supplying and exporting wide endowment of Thermax Boiler oil Pump. Our offered pumps are intensely used in boilers for their excellent pumping efficiency for long duration of time, owing to their procurement from reliable vendors. These pumps are designed and manufactured by skilled professionals at vendors end in various stipulations. Furthermore, we supply these pumps to our customers as per their precise needs at market leading rates. Icon Trading, kolkata offering Fuel oil pumps for burners and boilers, We import and supply Suntec fuel oil pumps, Suntec oil burner pumps, Suntec diesel pumps, Suntec keroscene pumps, Suntec pumps for ecoflam burners, Suntec fuel oil pumps for Bentone burners, Suntec oil pumps for FBR Burners, Suntec oil pumps for Unigas burners, Suntec oil pumps for Riello burners, Suntec oil pumps for Weishaupt burners, Suntec oil burner pumps for FBR burners, Suntec oil burner pumps for olympia burners, Suntec oil pump for Baltur burners, Suntec oil pumps for oilon burners, Suntec oil pumps for Sookook burners, Suntec oil pumps Lamborghini burners, Danfoss fuel oil pumps, Danfoss burner pumps, Danfoss gear oil pumps, Danfoss burner pumps for Bentone, Danfoss oil pumps for Flamco burners, Danfoss pumps for Oxilon burners, Suntec pumps for Oxilon burners, Safag gear oil pumps for Thermax boiler, Entees gear oil pumps for Thermax boiler, Suntec oil pumps for Thermax Boiler, Prakash gear oil pumps, Parkash oil pumps for boilers, J.n.marshall boiler gear oil pumps, Double ace boiler gear oil pumps, Fuelpac boiler gear oil pumps, Popular oil pumps for boilers, Elite boiler oil pumps, Vijayjyot boiler oil Pumps, 3M boiler oil pumps, Saz boiler oil pumps, Sai tech boiler oil pumps, Energypac boiler oil pumps, Urja boiler oil pumps, Shree laxmi boiler oil pumps, Isotex boiler oil pumps, Thermotech boiler oil pumps, Forbes boiler oil pumps Etc..
We have attained wide repute by supplying and trading highly effective Suntec Boiler Pump, which are known for their exceptional performance with high pressure pumping rate. Our offered pumps have found their intense use for boilers in various industries, owing to their sturdiness and ability to withstand high temperatures. We supply these pumps in varied specifications as per customers' variegated needs at equitable price tags. Icon trading corporation,Kolkata a leading supplier of Fuel oil pumps for burners and boilers across the east India, We supply all types of Suntec Oil Pumps. 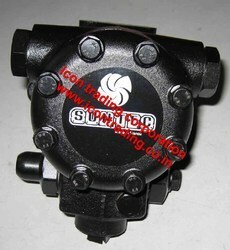 Suntec fuel oil pumps for Bentone Burners. Suntec fuel oil pumps for Burners. Suntec oil burner pumps for Olympia Burners. Suntec oil pumps for Riello Burners. Suntec oil burner pumps for Burners. Suntec oil pumps for Unigas Burners. Suntec oil pumps for Weishaupt Burners. Suntec oil pumps for Sookook Burners. 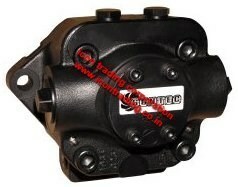 Suntec oil pump for Baltur Burners. Suntec keroscene pumps for Burners. Suntec pumps for ecoflam Burners. Suntec oil pumps for FBR Burners. Suntec oil burner pumps for FBR Burners. 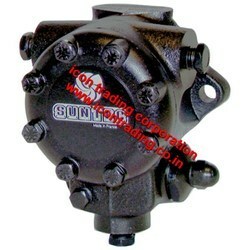 Suntec oil pumps for oilon Burners. Suntec oil pumps Lamborghini Burners. Icon Trading Corporation, Kolkata provides all types of Suntec Diesel burner pumps across the east India. Suntec burner pumps for Ecoflam Burners, Riello Burners, Bentone Burners, Weishaupt Burners, Fbr Burners, Uniga Burners, Burners, Etc..
SUNTEC E4 1069 fuel oil pumps for Bentone Burners. SUNTEC E4 1069 fuel oil pumps for Burners. SUNTEC E4 1069 oil burner pumps for Olympia Burners. SUNTEC E4 1069 oil pumps for Riello Burners. SUNTEC E4 1069 oil burner pumps for Burners. SUNTEC E4 1069 oil pumps for Unigas Burners. SUNTEC E4 1069 diesel pumpsfor Burners. SUNTEC E4 1069 oil pumps for Weishaupt Burners. SUNTEC E4 1069 oil pumps for Sookook Burners. SUNTEC E4 1069 oil pump for Baltur Burners. SUNTEC E4 1069 keroscene pumps for Burners. SUNTEC E4 1069 pumps for ecoflam Burners. SUNTEC E4 1069 oil pumps for FBR Burners. SUNTEC E4 1069 oil burner pumps for FBR Burners. SUNTEC E4 1069 oil pumps for oilon Burners. SUNTEC E4 1069 oil pumps Lamborghini Burners. SUNTEC T,TA,TA2,TA3,TA4,T5,T4 fuel oil pumps for Bentone Burners. SUNTEC T,TA,TA2,TA3,TA4,T5,T4 fuel oil pumps for Burners. SUNTEC T,TA,TA2,TA3,TA4,T5,T4 oil burner pumps for Olympia Burners. SUNTEC T,TA,TA2,TA3,TA4,T5,T4 oil pumps for Riello Burners. SUNTEC T,TA,TA2,TA3,TA4,T5,T4 oil burner pumps for Burners. SUNTEC T,TA,TA2,TA3,TA4,T5,T4 oil pumps for Unigas Burners. 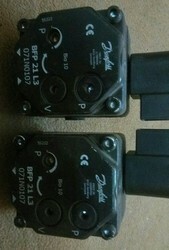 SUNTEC T,TA,TA2,TA3,TA4,T5,T4 diesel pumpsfor Burners. SUNTEC T,TA,TA2,TA3,TA4,T5,T4 oil pumps for Weishaupt Burners. SUNTEC T,TA,TA2,TA3,TA4,T5,T4 oil pumps for Sookook Burners. SUNTEC T,TA,TA2,TA3,TA4,T5,T4 oil pump for Baltur Burners. 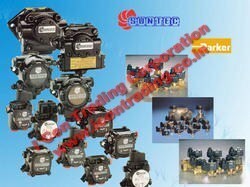 SUNTEC T,TA,TA2,TA3,TA4,T5,T4 keroscene pumps for Burners. 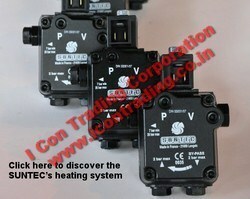 SUNTEC T,TA,TA2,TA3,TA4,T5,T4 pumps for ecoflam Burners. SUNTEC T,TA,TA2,TA3,TA4,T5,T4 oil pumps for FBR Burners. SUNTEC T,TA,TA2,TA3,TA4,T5,T4 oil burner pumps for FBR Burners. SUNTEC T,TA,TA2,TA3,TA4,T5,T4 oil pumps for oilon Burners. SUNTEC T,TA,TA2,TA3,TA4,T5,T4 oil pumps Lamborghini Burners. Widely acclaimed for supplying and trading highly reliable Gear Pump, our offered pumps are well reckoned for their noiseless operation and durability. These pumps being procured from trusted vendors are manufactured by utilizing fine grade raw material and contemporary technology. Available with us in wide specifications, our offered pumps are quality tested at our end for ensuring their effectiveness for prolong period. Energypac boiler oil pumps etc. Gear oil pump for boiler etc. Looking for boiler and burner fuel pump ?